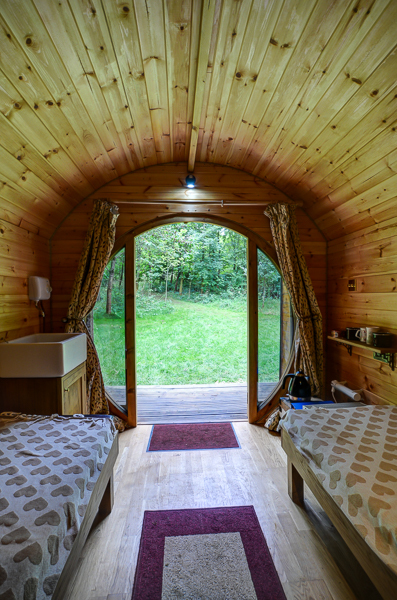 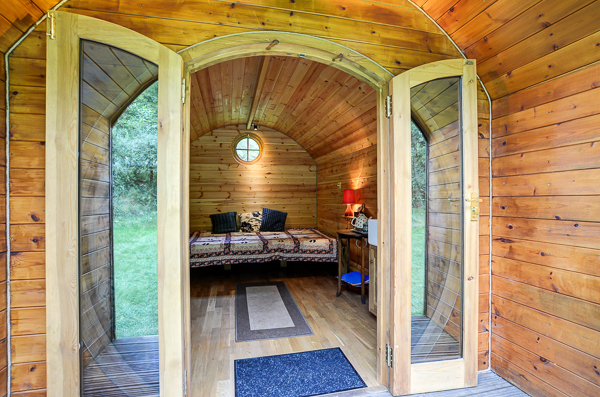 There is a choice of 2 secluded pods and a shepherds hut tucked away in a wooded glade. 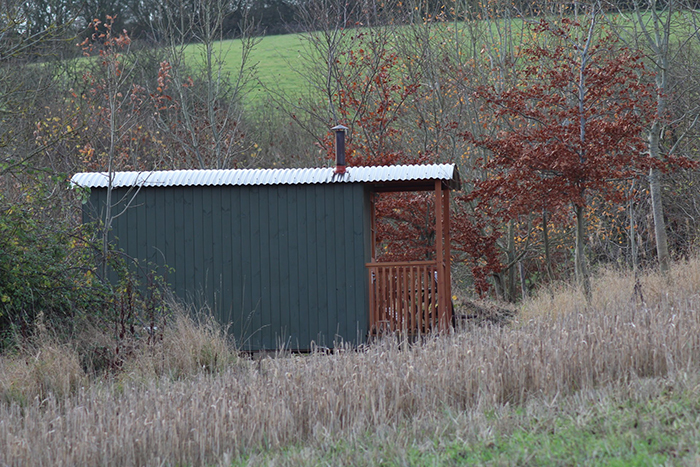 A car park is available and a separate shower and toilet block are nearby. 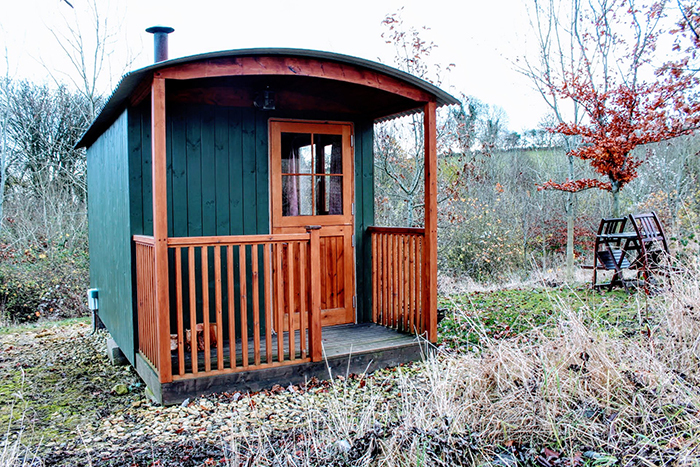 The accommodation sleeps 2-4 people and each has its own decking area, providing the perfect place to enjoy the seclusion and peace. 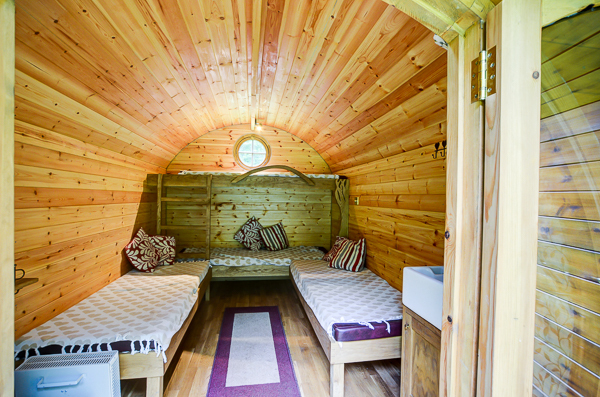 Each pod also comes with a heater, lighting & an electrical socket. 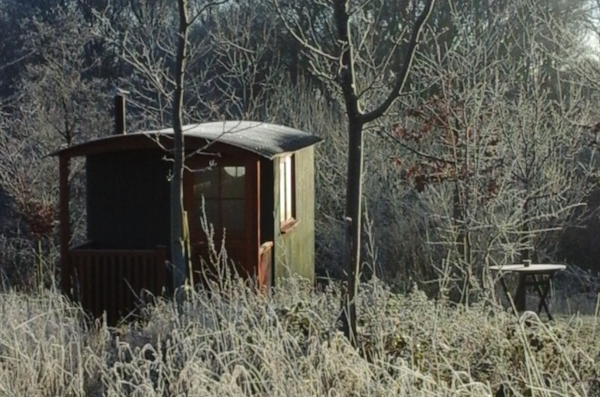 The accommodation is designed to be comfortable in all weathers. 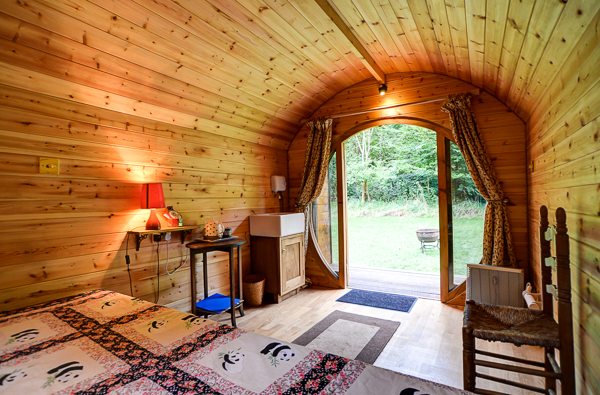 Pod guests will require all the usual camping equipment minus the tent. 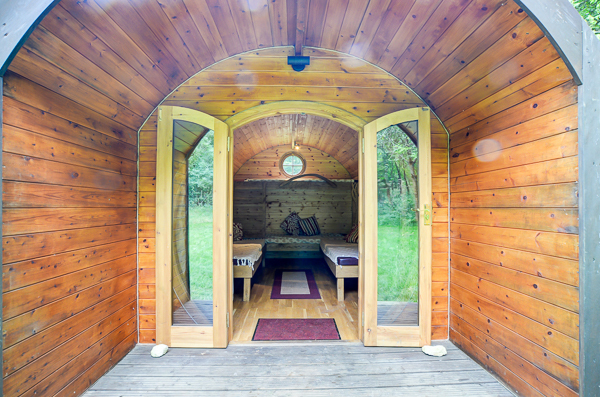 All cooking needs to take place outside the pods.